The headline says 214k new hires, but the number we care about, the private sector, only added 206k. 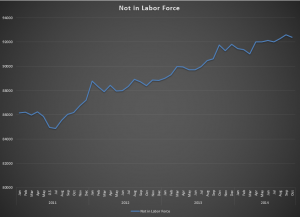 Last month we pointed out the Not in Labor Force number was growing faster than the number of new jobs created each month. Some of our “expert” critics are already elbowing us (electronically) this morning about the 206k drop in that stat. Ya know how we keep sayin’ trends and comparisons matter a lot more than data points? Maybe we can teach those “experts” something here. True, the number did drop by 206k, but in spite of that there are still 622k more than there were in October of 2013!! We know our readers get it, but the experts need pictures so we’ll put in the graph later. For now, here is some perspective. 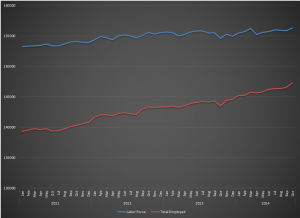 The 2% growth in the labor force vs. the 6% growth in employed people further illustrates why the unemployment rate, as published, is invalid as an economic metric, as well as both being pathetic for a three year period in the United States of America economy!. The work week and manufacturing overtime remain flat, the participation rate is still languishing in record low territory, those unemployed with a Bachelor’s degree or higher ticked up, and meaningful wage growth remains absent. 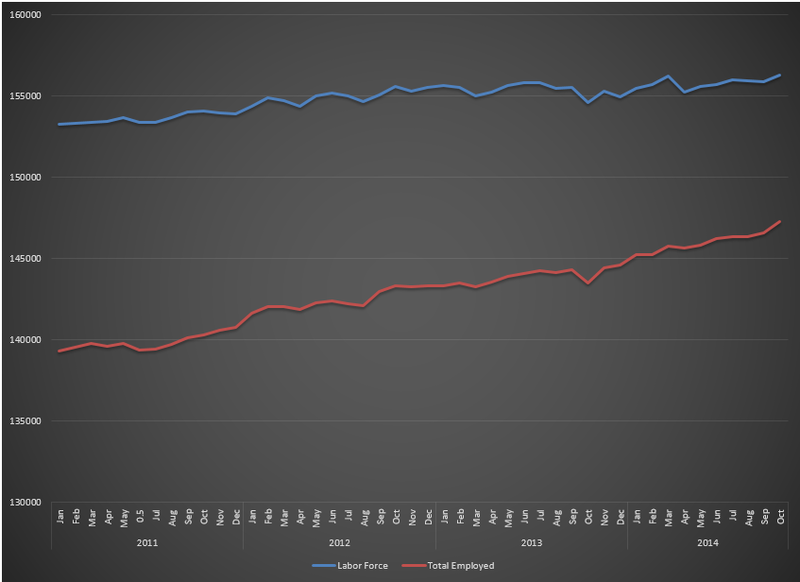 Here’s that Not in the Labor Force graph with the labor force vs employed thrown in for good measure.